Since 1973, Huff ‘N Puff has been serving customers in New York State. Over the past 40 years we have grown to become an established, financially stable organization. Our company was started in 1973 by Ed and Ruth Minkiewicz and specialized in “blown-in” cellulose insulation. As our customers grew to trust the name Huff ‘N Puff, they asked for more products and services to help improve their homes. 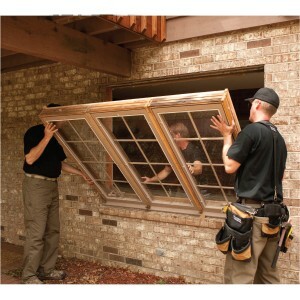 In response, our company expanded into replacement windows, doors and seamless gutters. Huff ‘N Puff became widely known for its superior products, reliability and quality installation. In 1996, Huff ‘N Puff was selected to be the exclusive dealer for Gutter Helmet® in the Capital District region. In 2001, Ed & Ruth’s son, Eric, re-joined the business from a career in finance and technology with companies including Citigroup, EMC and Lucent Technologies. The sound business principles used by these companies have been applied at Huff ‘N Puff to give our customers the service of a local company, with the consistency, standards and reliability of a Fortune 500 company. In 2007, Huff ‘N Puff was selected by Renewal by Andersen®, the replacement window division of Andersen® Window Corporation, to be the exclusive dealer of Renewal by Andersen ® Windows and Doors in the Capital District market. In 2008, Huff ‘N Puff was again selected by Renewal by Andersen to be its exclusive dealer for New York’s Hudson Valley Region. There is no time like the present to make your home a better, more comfortable place to live, and no company better than Huff ‘N Puff to get the job done – beautifully! 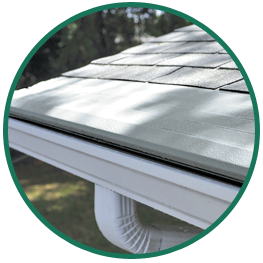 Complete our convenient online price quote request, or call Huff ‘N Puff today at (855) 483-3678 to get a free, no obligation estimate on new doors, replacement gutters or windows.